Comments: Called the Texas live oak because it is found on some of the drier soils in that state. It does not grow as large as the live oak, probably due to its having less water. It also has smaller leaves which are broader at the base. The acorn cups are narrow at the base. 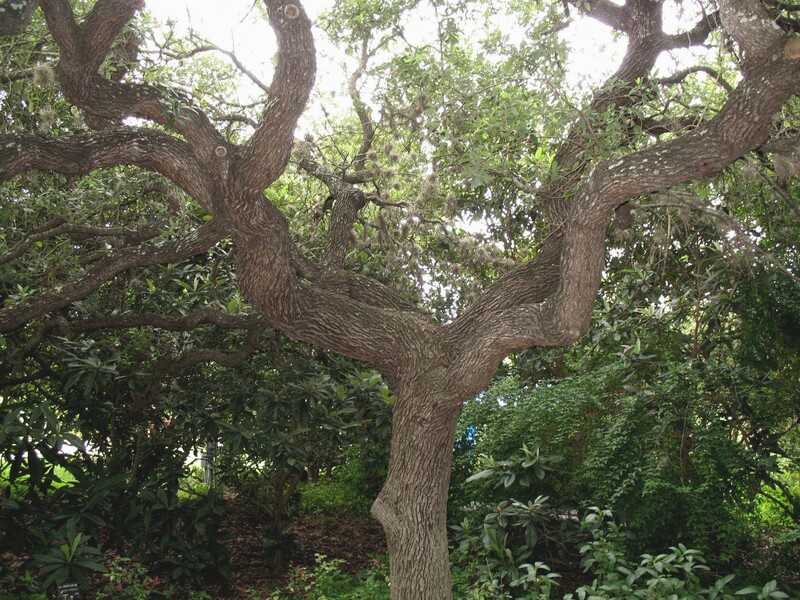 Except for these two factors and area of adaptability, it is very similar to the live oak. It can produce acorns every year.